Robert D. “Bob” Williams, 69, passed away on Wednesday, June 27, 2018, at his home. He was born in Las Cruces, NM on October 9, 1948 to Duncan S. and Ruth A. (Guynn) Williams. Bob met and married Totsie Norton Williams 42 years ago in T. or C., NM. He loved his family, his friends, and the Lord Jesus Christ. 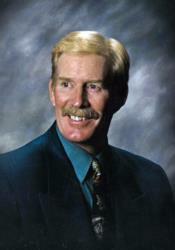 Bob was a general contractor by trade, he built or remodeled many homes and buildings in this area. He loved researching history, hunting, fishing, exploring, long distance shooting, camping, training and packing in on his horses and mules. Bob was an avid reader and a good story teller. He helped to start and develop the local shooting range and enjoyed the competition and comradery of his fellow shooters. He enjoyed building long range rifles, and all the knowledge they shared with each other. Steve Jones, his lifelong friend, helped him to continue competition the last few months of his life, shooting left handed. Survivors include his loving wife, Totsie, of the family home; brothers – Barry and Michael Williams; sisters – Carol (Dave), Carla, Alison (Richard), and Marsha; brother-in-law and sister-in-law, Tom and Sabrina Norton; nieces and nephews – Hannah Williams, Jonathan and William Bergeron, Sharokina, Marodean, and Adorina Williams, Shilow (Sarah) Norton, Tawnya (Nick) Brummett, Trent (Davinnia) Norton, and Tarah (Jeramy) Redshaw; 11/great (and we mean great) nieces and nephews; many cousins and extended families by birth, marriage and friendships. His family was a wonderful blessing in his life. He loved and served his Lord Jesus Christ and shared his salvation with many. He studied the Bible, taught freely and gave of himself to others and his church family. Cremation has taken place and a Memorial Celebration Service will be held on Friday, July 6, 2018, at 11:00 A.M. at the First Baptist Church with Rev. Dudley Bristow officiating. Totsie, we know you both fought so hard to beat this. Life is unfair and it's hard for us to understand except through faith. May Bob rest joyously with our Lord, Jesus. Please let us know if there is anything we can do for you. We'll never forget that Bob heard our parents' plea and called. He saved our houses in Kingston!! Our thoughts and prayers are with you Totsie and your family. God needed another good angle and he got one. Bobby was truly a goid friend throughout high school. I am so sad to hear of his passing. May the Lord be with you my friend. Totsie, I hated to hear about Bob. I have always thought he was one of the nicest people I know. You two made such a perfect couple. I pray for strength and comfort for you. Totsie, I know how much you will miss Bob. You were a loving couple that so many admired.I know you have strength and faith, but also know there are many folks you can reach out to for understanding. I am one.